The annual gala is the hottest ticket in town. It’s GRAMMY week in Los Angeles and that means Tinseltown is flooded with the music industry’s biggest stars. While there are tons of events, concerts, and parties to get to, the hottest ticket in town is always Clive Davis‘ annual Pre-Grammy gala at the historic Beverly Hilton. The super exclusive, star-studded event features a red carpet, cocktail hour, and sit-down dinner as well as special performances and a presentation to honor industry luminaries through the Recording Academy’s GRAMMY Salute To Industry Icons Award. 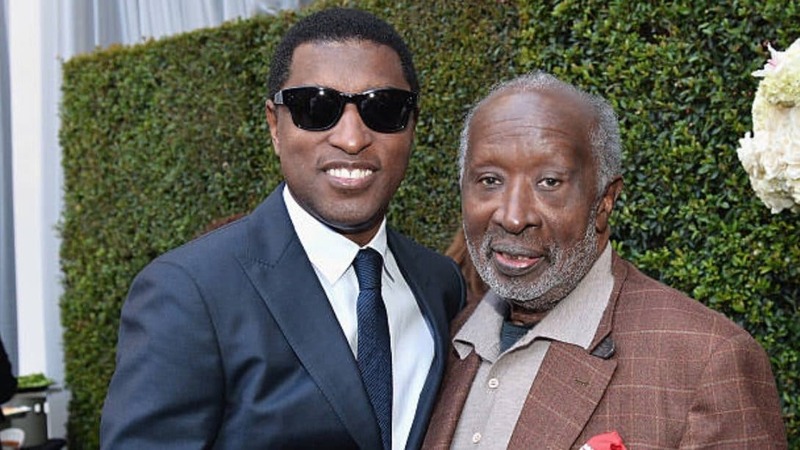 This year’s event will honor the “Godfather of Black Music,” Clarence Avant as the 2019 for his groundbreaking contributions to the music industry. Past recipients include Herb Alpert & Jerry Moss, Irving Azoff, Martin Bandier, Sir Richard Branson, Shawn “JAY-Z” Carter, Clive Davis, Ahmet Ertegun, David Geffen, Berry Gordy, Lucian Grainge, Debra L. Lee, Doug Morris, Mo Ostin, and Antonio “L.A.” Reid. Known as the Godfather of Black Music, Clarence Avant is one of the most influential figures in the entertainment industry. Avant began his incredible career as a manager in Teddy P’s Lounge in Newark, New Jersey, during the 1950s, which led to him managing the careers of some of the most talented musicians during that time, including Sarah Vaughn, Freda Payne, Jimmy Smith, and Lalo Schifrin. Avant later worked at Venture Records and eventually started his own label, Sussex Records, which housed artists such as Bill Withers and guitarist Dennis Coffey. In 1976, he launched Tabu Productions, where artists such as the S.O.S Band, Alexander O’Neal, Cherrelle, and many more built their reputations. Avant continued on the artist management side as well, working with Jimmy Jam and Terry Lewis, Kenneth “Babyface Edmonds,” and L.A. Reid. With more than 50 years in the business, the esteemed entrepreneur has been celebrated in various publications and by respected industry insiders. He has also received many professional accolades and awards, including a Thurgood Marshall Lifetime Achievement Award, an NAACP Image Awards Hall Of Fame Award, a BET Honors Entrepreneur Award, and many more. In 2008, the Recording Academy awarded Avant its Trustees Award. TheGrio caught up with the man behind the magic, Branden Chapman, Executive in Charge of Production & Chief Business Development Officer for the Recording Academy, to find out what goes in to pulling off this incredible event. Another thing that makes this event so exciting is the fact that the details remain under wraps until showtime. While stars usually have their pick of events they can attend, only a select few nab an invite for the Pre-GRAMMY gala each year. TheGrio will be on deck at the Recording Academy™ and Clive Davis’ 2019 Pre-GRAMMY Gala on Saturday, February 9 and we can’t wait to die you all the details of what’s sure to be a memorable, music-filled night.